While CNBC lines up pundits expressing their surprise about Apple not beating its record quarterly sales and earnings reported in the year ago quarter, the real surprise should be that Apple didn't perform worse. After all, over the past quarter--and back into last December, before Apple had even reported its fiscal Q1 results for the end of 2015--reports had been rolling in from Japan's Nikkei, as echoed in the Wall Street Journal, that based on supply chain rumors, Apple was cutting iPhone production by 10 percent in the December quarter, and 30 percent in the March quarter. Those supply chain rumors didn't materialize in any sales shortfall in the December quarter--iPhone 6s actually sold slightly better than the blockbuster iPhone 6 cycle had at the end of 2014, even despite unfavorable economic conditions including very ugly currency headwinds across most of Apple's international sales regions. In March, iPhone sales were below the previous year, but not anywhere near the reported 30 percent supply chain cuts. They were, however, well above the previous iPhone 5s cycle, showing that the anomaly in Apple's consistent pattern of global growth wasn't so much this year, but last year. That makes the one data point of decline in Apple's history of iPhone sales a poor representation for an empire in decline. Recall that when PC shipment growth declined in 2009 for the first time in the decade, it wasn't the sudden end of PC growth. However, PC growth did indeed grind to a halt later, and has consistently tumbled each year since 2011. The root cause wasn't that PC vendors had run out of customers. Instead, PC sales were hit by two trends: one was iPad and other tablets offering an alternative computing form factor, and the other was iPhone and other smartphones offering a completely different computing model. In contrast, there does not appear to be any new mobile form factor that is eroding away the success of Apple's iPhone. That's a popular narrative among Apple's most scathing critics, including one particularly nauseating screed by Nick Farrell titled "The Decline of the Apple Cult Comes to Pass," which boldly claimed Apple lost sales in China due to more "functional" phones from HTC and Samsung that also offered more novel design flourishes. Farrell wrote, "as the Chinese economy retracted, overt shows of wealth gave way to functionality. HTC and Samsung phones had more bells and whistles, and looked much better. "But Apple's refusal to have a good old redesign go at its iPhone, even returning to the iPhone 5 design this year, was just silly. Is it any wonder that Apple sold only 51.2 million iPhones this year?" Never mind that Apple didn't "return to iPhone 5" at any time during the quarter. iPhone SE didn't even go on sale until the quarter ended. iPhone SE is also obviously not Apple's new design for the future. As Harry McCracken, wrote in response for Fast Company, "I'm not even going to ask whether 51.2 million iPhones is a figure which can reasonably be preceded by the word 'only.' Here's another question, though: How can Farrell talk about Chinese consumers opting to buy HTC and Samsung phones instead of iPhones when the latest smartphone market-share stats for China show that Apple, even during a rough quarter, remains in the top five--and HTC and Samsung are nowhere to be found?" Apple itself provided answers about why it sold "only" 52.2 million iPhones in the March quarter. One of the most significant was exchange rates, particularly related to Hong Kong, which inflated the price of all of Apple's imports into Greater China. However, sales data from China for the quarter showed an overall slowdown in smartphone sales year-over-year. Xiaomi--one company that's been hyped as a competitive threat to Apple--was also reported to have lost sales volume and share. Unlike PCs, which have clearly taken a prolonged, serious dive as consumers move to mobile devices, smartphones (and iPhone in particular) are not really being eaten up by a new competitor. That points to an economic downturn, combined with unfavorable currency exchange rates, as exerting a temporary impact on iPhone growth. Unlike PCs, which have clearly taken a prolonged, serious dive as consumers move to mobile devices, smartphones (and iPhone in particular) are not really being eaten up by a new competitor. Further, unlike its PC peers, Apple has been reporting nearly consistent growth in Macs throughout the years of collapse seen in generic PCs. And at the same time, Apple has also built up iPad as a secondary computing platform, resulting in two very profitable computing businesses (Macs, among the top five PC vendors globally, and iPad, the number one tablet by a wide margin). That provides a strong basis for supporting the view that Apple's iPhone business will also weather today's temporary setbacks at least as well as its strongest competitors, and be able to grow even as high volume, low end commodity rivals take turns imploding--as generic PC makers have been doing throughout Apple's entire history. While new fears are being invented about the prospect of iPhone 6 users growing satisfied with the phone they have over buying a new iPhone 7, the reality is that iPhones have a relatively short life cycle for two good reasons. First off, unlike PCs iPhones have evolved rapidly and relentlessly. A PC from four years ago is not that outdated, but a 3 year old iPhone feels pretty long in the tooth. Even more importantly, PCs typically sit on a desk or are handled with care. People walk down the street with their phone in hand. Just look around any bar and you see shattered screens everywhere. Drops and general day to day wear take a lot more out of our mobile computer-phones than previous generations of the personal computer were ever exposed to. iPhone upgrades are a stable recurring revenue source. And most importantly, Apple is not just a hardware company but rather a platform company, so it has the power to rapidly enhance users' experiences with new evolutions of software and hardware integration in ways that other commodity phone producers can't on their own. Touch ID, Apple Pay and 3D Touch are easy examples. Apple's Mac and iPad platforms lie somewhere in the middle. As with iPhone, Apple owns the entire platform and can rapidly introduce new integrated innovations. However, iPad is clearly showing itself to have a longer replacement cycle than iPhone, and Macs can stay useful for even longer. One other issue uniquely faced by Macs: they're still powered by processors from Intel, which means that Apple's ability to introduce faster, more powerful models is contingent upon an outside partner, much the same way that generic PC makers also rely upon Microsoft, and Android licenses have to coordinate their direction with Google. Samsung would like to have its own platform like Apple's iOS, which is why it invested in Bada and then Tizen. The problem is that it could not develop a platform that its customers wanted. In the March quarter, Samsung saw year-over-year growth in its smartphone sales, but that's because the valuable Galaxy segment of its smartphone business is gradually rebuilding from a crushing defeat at the hands of iPhone 6 last year, rather than being compared to the tremendous upgrade cycle that iPhone 6 achieved, as Apple is. Suggesting that Apple failed to grow while Samsung achieved growth is therefore among the most facile and willfully ignorant observations one can make about the smartphone market this quarter, even before recognizing that Samsung sold many more phones but earned less than a quarter what Apple did. But there's also another difference between Apple's performance in the March quarter and Samsung's. One of the primary factors Samsung itself noted in its results was the earlier than usual launch of its Galaxy S7 flagship. Apple launched iPhone 6s in the previous quarter, and did not begin selling the new iPhone SE until the quarter had ended. 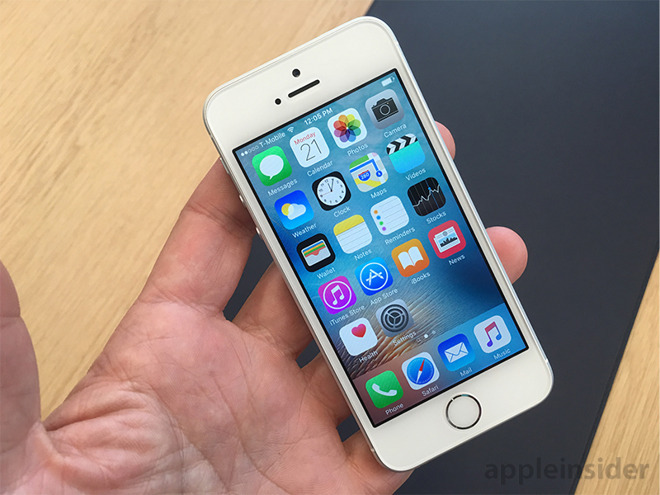 Additionally, Apple manufactured more iPhone 6s models in the December quarter this year. Last year, Apple also entered the March quarter with a inventory deficit. This year, Apple did the opposite, and it had the effect of pulling some growth out of the March quarter and into December. That made the holiday quarter look better. Further, the launch of iPhone SE, as well as the new 7.9 inch flagship iPad Pro, both helped to delay sales into the June quarter. That appears to have been a strategic decision intentionally made to allow the March quarter to bear most of the year's worst news. Tim Cook is frequently contrasted with Steve Jobs, but the latter made the same call back in 1997, writing off Apple's glut of inventory in one fell swoop, allowing the company to move forward without carrying a lingering problem. When you look at China in particular, Apple's disappointing performance as a premium brand there looks much better when you contrast Samsung's position of not even being in the top five anymore. That timing also means that throughout the rest of 2016, there will be increased focus on Apple's upcoming iPhone 7, and when it arrives Samsung's own flagship will be further away in the rear view mirror. Additionally, when you look at China in particular, Apple's disappointing performance as a premium brand there looks much better when you contrast Samsung's position of not even being in the top five anymore. As well, Samsung's smartphone portfolio is far further downmarket, meaning it is more vulnerable to commoditization, especially so because it runs the generic Android platform just like the other, cheaper Chinese brands. Despite a single quarter of iPhone sales decline, Apple's pool of active users is actually growing. We know this because Apple's iPhone 6s Q2 was as bigger than the iPhone 5s Q2 in 2014, and even a million units higher than the peak holiday launch Q1 sales iPhone 5s achieved. In other words, while sales of new iPhones didn't increase year over year, growth of Apple's iPhone user base continued, fueled by the strongest influx ever of Android switchers. Compare Facebook's growth in users. Facebook earns nothing from new users who begin using its platforms (Facebook, Instagram, WhatsApp). It actually spends significant resources acquiring new users and maintaining services and supporting the software they use. Facebook's revenue comes from showing ads to those users, which helped it collect about $12 per user last year. Now compare Apple's business: it brought in, on average, around $670 per user buying an iPhone in fiscal 2015 (231 million of them). It also brought in about $420 each on every iPad sold (55 million) and $1200 on each of 20 million Mac sales. But those all all just the buy-in to join Apple's platforms. The Facebook-like revenue that Apple earned on its user base was another $20 billion, which includes sales of apps, AppleCare, iBooks, iTunes and new Apple Music subscriptions. Apple now has 13 million new subscribers who will each pay about $120 per year for that service. So even with fewer users--Facebook claims about 1.65 billion MAUs, compared to Apple's "over 1 billion" active devices or 782 million active iCloud users--Apple just reported quarterly Services revenue of over $6 billion, compared to the $5.38 billion in advertising revenue Facebook brought in. And while Facebook earned $1.51 billion in the quarter, Apple's Services alone--with a profit margin estimated by Piper Jaffray to be around 60 percent--means that Apple earned about $3.6 billion from its own non-hardware business. Apple is a much larger company than Facebook, so it shouldn't be surprising that it earned about twice as much servicing its own user base, even if that user base is smaller. However, Facebook's market valuation has now reached $363 billion, nearly 74 percent that of Apple's $492 billion market cap. That ignores the fact that Facebook gets no "platform admission profits" from its users (that "other" $213 billion Apple earned from hardware sales last year), or that outside of the U.S., its ability to earn revenues off its user base drops off rapidly. While there are fears that Apple might have some issues in China, Facebook is completely blocked out of the second largest market for tech in the world, with no real hope of entry. And while there are fears that Apple might have some issues in China, Facebook is completely blocked out of the second largest market for tech in the world, with no real hope of entry. China already has its own Facebooks operating there. Facebook's valuation is anchored in expectations of growth. But is no growth envisioned for Apple's own, already larger and much more profitable Services segment? Apple just added another 3 million Apple Music subscribers in the March quarter, who will contribute as much new revenue this year as 30 million new active Facebook users sitting in front of ads between their cat videos. 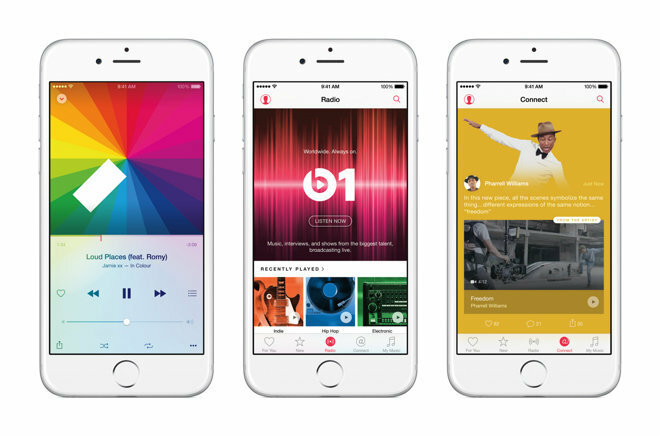 Apple Music users are literally worth ten times as much. Another enterprise that can be contrasted with Apple's operations is Amazon, which delighted its investors with unexpected earnings this quarter, vaulting its valuation further into the stratosphere. But again, those earnings were only notable relative to expectations that Amazon would chug along without any focus on earnings, as its investors are patiently waiting for the company to emerge from its chrysalis and someday emerge as a wildly profitable Mothra. It was Amazon's most profitable quarter ever, but the company only reported $513 million in earnings. That's about five days worth of Apple's earnings for the quarter. Analysts were also impressed that Amazon Web Services had grown by $1 billion to achieve quarterly revenues of $2.57 billion. Again, Apple's own Services business grew by $1 billion, but Apple's non-hardware business is tightly tied to its proprietary platform. AWS is essentially a commodity service that customers can rather easily swap out to a cheaper competitor. 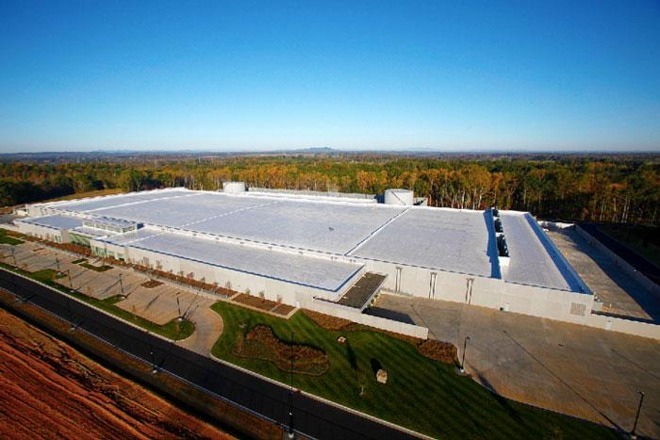 In fact, that's reportedly what Apple itself intends to do as it migrates from AWS to its own cloud servers. Apple reportedly pays AWS about $1 billion in revenues annually. Additionally, Apple is said to have already inked a deal with Alphabet worth $400 to $600 million to transfer some AWS tasks to Google Cloud, preparing for a departure from Amazon's services this year. How impressed can investors be with Amazon's ability to build commodity cloud infrastructure when Google, Microsoft and many others are desperately racing to build out their own commodity cloud infrastructure, driving prices into the basement like PC vendors in the 1990s? Without any real profitability, Amazon is rampantly investing in a very expensive retail operation where order fulfillment costs are so high that the company is basically performing a volunteer service at the expense of investors. It's also building a Prime content service, something more directly comparable to Apple's own Services segment, but again with a more detached user base that can freely defect to content subscriptions from Netflix, Google or, in the future, Apple's own. Amazon's valuation? $308.71 billion, or 62 percent of the current valuation of Apple. Despite revenues of $29.13 billion, compared to Apple's $50.6 billion in quarterly revenue in its "bad Q2." Clearly, investors don't think Apple has any potential to build any functional business from its increasingly large pile of money, and only envision the firm falling off the precipice into the chasm of doom that pundits have been describing each year since forever. It will be important for Apple to more clearly articulate going forward that not only does it have a vast hardware business that operates like a wildly profitable version of Samsung (x4), but that it also has a Services business twice as profitable as Facebook, and is building out new cloud infrastructure to feed that enormous audience, rather than speculatively building commodity cloud infrastructure like Amazon. If Apple can communicate that it isn't just a commodity hardware business like HP or Samsung, it demand a valuation that reflects that its past growth wasn't just a fluke of being in the right place at the right time, and that it didn't just accidentally end up with $10 billion in quarterly free cash flow.